QST Antenna Design Competition is Under Way! The ARRL Board of Directors unanimously adopted five legislative objectives for the 115th US Congress when it met in Connecticut January 20-21. ARRL President Rick Roderick, K5UR, chaired the session. The first objective is to seek early congressional passage of the Amateur Radio Parity Act of 2017, H.R. 555 and of any Senate companion bill that might be introduced. H.R. 555 cleared the House on January 23. The Board was told that specific instructions to the FCC on implementation of the bill would be included in the report language from Congress. In addition to the new Parity Act initiative, the ARRL Board agreed that the League would oppose any legislation that would lead to the reallocation of Amateur Radio spectrum or to sharing arrangements that reduce the utility of existing allocations. ARRL also will oppose legislation "that diminishes the rights of federal licensees in favor of unlicensed emitters or encourages the deployment of spectrum-polluting technologies." Further, the League will seek recognition of the unique resources, capabilities, and expertise of the Amateur Radio Service in any legislation addressing communication issues related to emergencies, disasters, or national security. Finally, ARRL will support the complementary legislative objectives of other radiocommunication services. New England Division Director Tom Frenaye, K1KI, presented the report of the Entry Level Licensing Committee and entertained questions. It has been more than 10 years since ARRL asked the FCC to consider a proposal for restructuring licensing requirements and creating a more appropriate entry-level license. After a comprehensive study, the committee is still discussing possible recommendations to bring before the Board for consideration. An Entry-Level License Committee was established by the ARRL Board of Directors and appointed in September 2016. As part of its ongoing work, the committee is gathering member input and will make recommendations to the Board for possible rules changes to submit to the FCC. The result could mean changes to the Technician license, but it could also be an additional, but simpler, license with privileges that would give a newcomer a taste of most facets of ham radio, from HF to VHF and UHF. The committee has created an online member survey. Please complete and submit the survey no later than April 7, 2017. Survey results will be published. The Board received the Entry-Level Licensing Committee's interim report and endorsed its recommendation to work toward improvements in the current license question pools and seek aggregate demographic data from the FCC's Amateur Radio database. The Committee also recommended continuing the effort to examine public attitudes toward Amateur Radio, with a goal of better understanding how to reach out and attract new licensees. 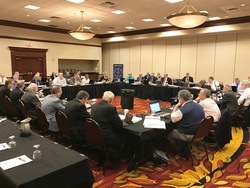 The Board asked the Committee to work with ARRL Headquarters staff to gather ARRL member input regarding potential changes to the entry-level license, develop several different proposals for change to the entry-level license, and work toward bringing a final recommendation before the Board at its July meeting. In his report to the Board, ARRL General Counsel Chris Imlay, W3KD, noted that there are few threats to Amateur Radio spectrum at this time. He also pointed up the importance of a comprehensive review of the Amateur Auxiliary -- the Official Observer (OO) Program. ARRL Second Vice President Brian Mileshosky, N5ZGT, provided an oral report to the Board regarding an OO program study now under way. Requested by the ARRL Executive Committee last spring, the study is focused on identifying recommendations to improve the mechanics of the OO program as well as the program's interface with today's FCC. In addition to Mileshosky and Imlay, the core study team includes ARRL Headquarters staffers Steve Ewald, WV1X; Dan Henderson, N1ND, and Dave Patton, NN1N. Additional resources from within the ARRL Field Organization as well as the FCC will be consulted as needed during the course of the study, Mileshosky said, adding that his team's deliverable will be a set of recommendations to the ARRL Board and management for their consideration. Mileshosky also told the Board that, despite rumors, no changes to the OO program are planned in the interim. "The study is a parallel effort that should pose no impact to the current activities that our nation's Official Observer community has under way," Mileshosky said. "We greatly appreciate the value that our OOs provide to the Amateur Radio community and are excited to help strengthen their role in the future." Read more. The ARRL Board named the winners of several awards when it met in Connecticut January 20-21. US Rep. Adam Kinzinger (R-IL). 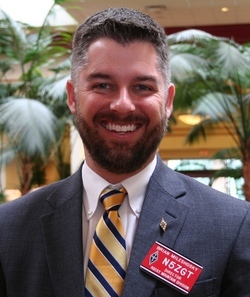 The Board voted to grant the Barry Goldwater, K7UGA, Achievement Award to Amateur Radio Parity Act sponsor US Rep. Adam Kinzinger (R-IL), in recognition of his outstanding support of Amateur Radio as an elected official. 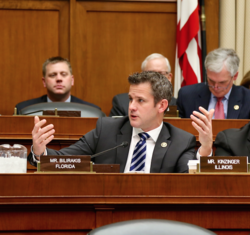 Kinzinger has sponsored Amateur Radio Parity Act legislation in the 113th, 114th, and 115th Congresses. Calling Kinzinger "a great friend to Amateur Radio over the past 4 years and a patriotic American," the Board said his understanding of the value of Amateur Radio to the public interest and the pursuit of scientific and technical knowledge has led him to act in the spirit of the award's namesake, Sen. Barry Goldwater, K7UGA, whose exemplary support for Amateur Radio in Washington inspired the award. Richard Darling, AH7G, and Barbara Darling, NH7FY, are the recipients of the 2016 International Humanitarian Award. The Board cited the couple's support of past International Humanitarian Award winner John Bush, KH6DLK/V63JB, and their "significant material support" to his efforts in the Federated States of Micronesia. "[T]hey have supported these ongoing efforts over many years with on-the-air activities including communication during weather events, including several typhoons, as well as other emergency activities, including assistance to boaters in trouble," the Board's resolution said. The Board bestowed the 2016 Doug DeMaw Technical Excellence Award upon Steven J. Franke, K9AN, and Joseph H. Taylor, K1JT, for their article, "Open Source Soft-Decision Decoder for the JT65 (63, 12) Reed-Solomon Code," which appeared in the May/June 2016 issue of QEX. Recipients of the 2016 Bill Leonard, W2SKE, Professional Media awards were Wayne Rash, N4HCR (print); Jamala Henderson (audio), and Derek Felton (video) for their individual excellence in covering Amateur Radio topics in the media. Rash, senior columnist for eWEEK and a freelance writer and editor who has written about technology topics for 35 years, was recognized for his Yahooo Tech article, "Why Modern Makers are Bringing Back Ham Radio." Henderson, a reporter/producer for National Public Radio (NPR) affiliate KUOW-FM in Seattle, was honored for showcasing the efforts of the Seattle Auxiliary Communications Services group in conjunction with FEMA's Cascadia Rising exercise last June in her piece, "Ham Radio Operators Could Be Superheroes When the Earthquake Hits." The Board recognized Felton, a videographer and editor for WGNO-TV in Metairie, Louisiana, for highlighting the participation of 12-year-old Bryant Rascoll, KG5HVO, as part of the Jefferson Amateur Radio Club's 2016 Field Day effort. ARRL Contributing Editor Ward Silver, N0AX, of St. Charles, Missouri, is the 2016 Bill Orr Technical Writing Award winner, sponsored by the ARRL Foundation. It marks the second time Silver has been named to receive the prestigious award -- the first came in 2003. The QST editorial staff reviewed articles for the past year and nominated Silver on the basis of his January 2016 article, "About SSB." Written in a clear, conversational style, the prize-winning article offers a straightforward explanation of the technical nature of single sideband and how to effectively receive SSB. "Along with the award being a terrific honor, generally, and especially a second, the most gratifying thing is to know that I am helping hams learn," Silver said. "The goal is for them to be more successful and effective on the air, leading to a lifetime of ham radio. I can attest that the efforts of Bill Orr, W6SAI; Doug DeMaw, W1FB; George Grammer, W1DF, and many others who patiently explained the most fundamental things to all of us, led to bigger and better things in our lives, in and out of ham radio. That's an Amateur Radio tradition that I'm proud to carry forward." The award's namesake, engineer, educator, and communicator extraordinaire William I. 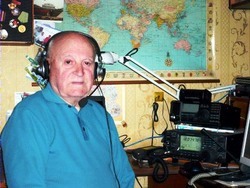 "Bill" Orr, W6SAI, wrote and edited scores of technical books and articles of interest to Amateur Radio enthusiasts. The Orr Award is bestowed each year to the QST author who writes an outstanding QST article or series on new or existing technologies or on methods or means of amateur communication. 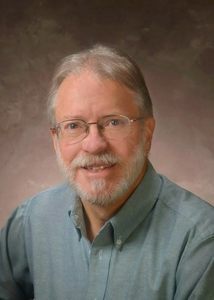 "Ward Silver has a unique talent for explaining complicated concepts at a level anyone can understand," QST Editor-in-Chief and ARRL Publications Manager Steve Ford, WB8IMY, said. "He has been one of the most prolific authors in ARRL history, in large part due to this ability." The QST editorial staff serves as the selection panel and recommends the winner from a review of the year's QST articles to the ARRL Foundation Board for final approval at its annual meeting. The award comprises an engraved plaque and $250, to be presented at an ARRL convention. Read more. ARRL has announced its 2017 Teachers Institute on Wireless Technology schedule. This summer's sessions will be held in Dayton, Ohio -- hosted by the Dayton Amateur Radio Association (DARA) -- and at ARRL Headquarters in Newington, Connecticut. (DARA also helps to sustain the program as a generous contributor.) The deadline to apply is May 1. Past participants who have completed the introductory (TI-1) course may want to consider signing up for the advanced (TI-2) session on Remote Sensing and Data Gathering. These expenses-paid, intensive professional development opportunities offer educators training and resources to explore wireless technology in the classroom using Amateur Radio. Topics covered in the TI-1 Introduction to Wireless Technology include basic electronics, radio science, microcontroller programming, and basic robotics. Among other activities, participants will learn how to solder and practice by building a digital clock. They'll also learn basic circuit concepts and learn how to use basic test equipment. Educators in the TI-1 class will also learn about Amateur Radio, take part in a hidden transmitter hunt, and see demonstrations of Amateur Radio satellite communication. Students will build and program their own simple robots. An Amateur Radio license is not required to take the TI-1 class. Physics teacher and TI participant Josh Leckman solders components on a project board during a TI-1 session last summer in Colorado. Applicants to the advanced Teachers Institute (TI-2) on Remote Sensing and Data Gathering must hold an Amateur Radio license and have competed TI-1. The class will concentrate on analog-to-digital conversion and data sampling, and participants will receive telemetry from Amateur Radio satellites and apply it to math and science topics. TI-2 participants will also construct a marine research buoy equipped with environmental sensors, build a microcontroller to sample the data, configure it for Automatic Packet Reporting System (APRS) transmission, and receive and upload data to a spreadsheet for analysis. More information is available on the ARRL website. An article about the Teachers Institute will appear in the March issue of QST. Contributions from individuals and from corporate and institutional supporters make the annual ARRL Teachers Institutes possible. "AM and SSB" is the topic of the latest (February 9) episode of the "ARRL The Doctor is In" podcast. Listen...and learn! We can accept only one entry per person or team, so choose your category wisely. Don't wait too long, though. The deadline is June 1, 2017! The entry category you've chosen for your design. 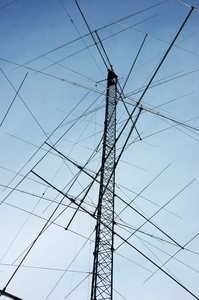 Send your entry to QST, Attn: Antenna Design Competition, 225 Main St., Newington, CT 06111. Or e-mail your entry to qst@arrl.org. The subject line should include your call sign and the words "Antenna Design Competition" (without quotes). Come mid-February, it's time to warm up to the ARRL International DX CW Contest, February 18-19! It's the US (except Alaska and Hawaii) and Canada (except St. Paul and Sable islands) against the rest of the world on the third weekend of February. W/VE stations send signal report and state/province abbreviation. DX stations send a signal report and output power. Expect a busy time on the bands as CW radiosport enthusiasts dive into the big event at 0000 UTC on February 18 (the evening of February 17 in US time zones. With stations from around the globe active on 160 through 10 meters (except 60, 30, 17, or 12 meters), the contest is a terrific opportunity to fill in some band slots or work a few new ones. Begun in 1929 as the ARRL International Relay Party, today's ARRL International DX CW contest lays claim to the crown as the longest-running contest in Amateur Radio. The SSB event is March 4-5. In an apparent nod to radio amateurs who may have tuned in, Radio Australia's VL8A transmitter in Alice Springs signed off on January 31 in CW. The station sent "73 de VL8A QRT," before pulling the big switch. 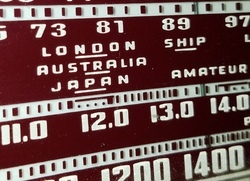 Radio Australia announced last fall that it planned to cease shortwave transmissions. Although the broadcaster shut down its Katherine, Tennant Creek, and Roe Creek (Alice Springs) transmitters at the end of January, it will continue to broadcast on the FM and AM bands, via satellite, and via online streaming and mobile applications. The move was not popular with those who live and work in the vast area the shortwave broadcasts reached, with some saying it was the only reliable broadcast outlet, and that its demise could deprive Northern Australian listeners of emergency and critical weather information. Northern Territory Cattlemen's Association President Tom Stockwell, who lives on Sunday Creek Station with no access to AM or FM radio or mobile phone service, isn't buying the Australian Broadcasting Commission's explanation. He said the decision to focus on digital transmission ignored people in the bush. "It affects a big area of Australia, and it affects those people that are remote from other forms of communication that rely on radio network," he said. Mark Crocombe of the indigenous Thamarrurr Rangers in the remote community of Wadeye said his group members spend days and sometimes weeks at a time away in the bush and out on sea patrols and had relied on the ABC's shortwave radio for weather reports and emergency information, including cyclone warnings. "It could be life threatening, if you are out and you don't know a cyclone is coming," he said. Radio Australia has said the move was in line with its commitment to dispense with outdated technology and to expand its digital content offerings and FM services. Read more. Charles "Charlie" Hellman, W2RP, of Hastings on Hudson, New York, died on January 25. He was 106 and may have not only been the oldest surviving radio amateur in the US but, at 92 years, also may have been the longest licensed. Hellman outlived by 8 days Harry Wolf, W6NKT, of Morro Bay, California, who had been considered the oldest US ham when he died on January 17, just a couple of weeks shy of his 108th birthday. In 2015, the Quarter Century Wireless Association (QCWA) honored Hellman with a "90 Year Continuous Licensed Certificate Award" (No 1). No formal records are kept regarding the oldest or youngest US hams. Hellman had been regularly active on the air until a few years before his death, when his backyard tower fell victim to Hurricane Sandy. Communication satellite pioneer Harold Rosen, ex-W5JKW, of Pacific Palisades, California, died on January 30. He was 90. Inspired by the USSR's launch of Sputnik I in 1957 that kicked off the space race in earnest, Rosen -- an alumnus of Tulane and Caltech -- foresaw the potential for such spacecraft to do more than transmit a beacon signal. An engineer with Hughes Aircraft (later Boeing), he, Thomas Hudspeth, and Don Williams developed a prototype geosynchronous communication satellite called Syncom. NASA launched the first successful spacecraft, Syncom II, in 1963, and President John F. Kennedy spoke through the spacecraft with Nigeria's prime minister, marking the first conversation between two heads of state via satellite. Syncom III carried images from the summer Olympics in Tokyo in 1964. 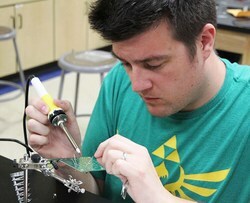 Rosen became interested in electronics while in high school, and he built his own radio as a ham radio club project. At some point prior to World War II, Rosen obtained his Amateur Radio license and, according to a close friend, Stanley Pulitzer, W5JYK, was once regularly active on 40-meter CW. He let his license lapse as his post-war activities accelerated. Pulitzer said Rosen was his Elmer. Rosen went on to oversee the development of some 150 communication satellites that revolutionized communication worldwide. Read more. Members of the Dresden (OH) Elementary Amateur Radio Station's KD8NOM took part in a 2016 SCR. School Club Roundup is February 13-17! The winter-spring term of the School Club Roundup (SCR) gets under way on February 13 at 1300 UTC and continues through Friday, February 17, at 2359 UTC. 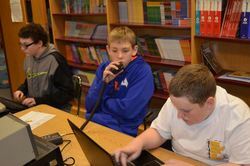 This twice-yearly event is an opportunity for school club stations -- from elementary school to college -- to get on the air for a friendly, low-pressure radio competition. Non-school clubs and stations are encouraged to participate too. Stations may operate no more than 6 hours in any 24-hour period, up to a maximum of 24 hours. Results of previous SCRs are available. Russia's Oldest Radio Amateur Oleg S. Klyucharev, U1AU, SK: Russia's oldest Amateur Radio operator, Oleg S. Klyucharev, U1AU, of St. Petersburg, died on January 31. He was 102. His death followed by a few days the passing of the oldest US radio amateur, Charlie Hellman, W2RP. Klyucharev was licensed as EU3GM in 1933, and as U1AU the following year. Born in Strelna in 1915 in czarist Russia, he graduated in 1937 from the Maritime College and spent some time in the Arctic and on Antarctica. He served in World War II in the defense and liberation of Sevastopol. During his working years, Klyucharev was the head of communications for the Baltic Shipping Company. He was a member of the Amateur Radio Association of St. Petersburg and was active on the air until his death. Slow-Scan TV Transmissions from International Space Station Planned: Slow-scan television (SSTV) transmissions are planned from the International Space Station (ISS) on February 13-14. The SSTV images will be transmitted on 145.800 MHz FM as part of the MAI-75 Experiment, using the Kenwood TM-D710 transceiver located in the ISS Russian Service Module. It's anticipated the transmissions will be in PD-180 SSTV format. The MAI-75 activities have been scheduled for the Russian crew on February 13 from 0925 until 1800 UTC and on February 14 from 1125 until 1630 UTC. Transmissions on 145.800 MHz FM use 5-kHz deviation. The ISS Fan Club website will show when the space station is in range. 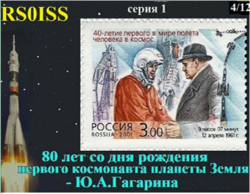 More information on ISS SSTV is on the AMSAT-UK website. Visit the gallery of ARISS SSTV images. The story "Transcontinental Relay Recreated for 100th Anniversary Commemoration" in the February 2 edition of The ARRL Letter contained an error in the first photo caption. It should have read, "David Hodge, N6AN, originates the commemorative transcontinental message at W6UE." Tad Cook, K7RA, Seattle, reports: The average daily sunspot number dropped from 31.6 to 21.3 last week, and the average daily solar flux declined from 78.2 to 73.5. The average planetary A index dipped from 15.6 to 12.9, and the average mid-latitude A index from 11.4 to 9.9. Predicted solar flux is 73, 72, and 73 on February 9-11; 74 on February 12-15; 77 and 78 on February 16-17; 80 on February 18-19; 82 on February 20-21; 81 and 79 on February 22-23; 77 on February 24-25; 75 on February 26-March 1; 74 on March 2-3; 73 on March 4; 72 on March 5-9, 75 on March 10-13; 76, 77, and 78 on March 14-16; 80 on March 17-18, and 82 on March 19-20. Predicted planetary A index is 7 on February 9; 5 on February 10-13; 16, 12, and 10 on February 14-16; 8 on February 17-18; 5 on February 19-21; 10, 15, 10, and 10 on February 22-25; 5, 25, and 30 on February 26-28; 25, 20, 15, and 12 on March 1-4; 10 on March 5-7; 8 on March 8, and 5 on March 9-12. 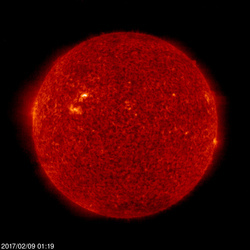 Sunspot numbers for February 2 through 8, 2017 were 40, 39, 22, 22, 15, 11, and 0, with a mean of 21.3. The 10.7-centimeter flux was 75.3, 75.1, 74, 72.6, 72.5, 72.1, and 73.1, with a mean of 73.5. Estimated planetary A indices were 21, 18, 11, 15, 13, 7, and 5, with a mean of 12.9. Estimated mid-latitude A indices were 18, 14, 8, 11, 10, 5, and 3, with a mean of 9.9. The weekly Solar Update in The ARRL Letter is a preview of the Propagation Bulletin issued each Friday. Send me your reports or observations.